Hard work deserves just rewards. Reward yourself with the special place you have always envisioned. Impromptu gatherings and casual get-togethers are made even easier with a low maintenance AZEK Deck. It’s always ready for entertaining. You work hard to create a place where you can spend quality time enjoying your life’s journey. 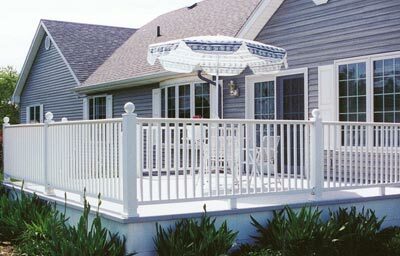 Railings add a level of beauty, distinction, and lasting value to your home.